Sacroiliac (SI) joint pain is generally caused by inflammation in the sacroiliac joints that support our body’s weight and reduce pressure on our spine. Characterized by significant disabilities due to extreme discomfort, SI joint pain can be experienced in the lower back, legs, and hips. Sacroiliac dysfunction is often associated with a number of different medical conditions such as gout, osteoarthritis, and pregnancy, and is often compounded by years of stress on the affected joints. While treatment options for SI joint pain have historically been limited to medications, physical therapy, or injections, we now have a new technique available to sufferers when non-operative intervention proves unsuccessful. SI joint fusion surgery uses the iFuse Implant system to effectively stop the motion in the joint. By fusing it with three titanium surfaced implants, known for high potential for bone growth and healing, the SI joint is immediately stabilized. This minimally-invasive approach takes up to one hour and can be done in an inpatient or outpatient setting. Recovery involves limited weight bearing on the affected side for a few weeks, and may include physical therapy, before resuming your normal, daily activities. Contact us to learn more about how you can experience long-term relief from SI joint pain with SI joint fusion surgery at Chatham Orthopaedics. 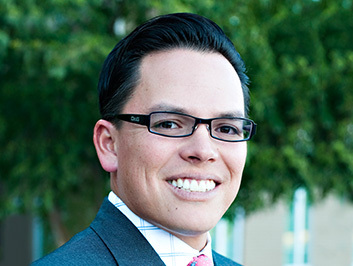 Raphael R. Roybal, M.D., gained extensive experience in all aspects of surgery of the spine, including both minimally invasive and motion sparing techniques, at the Texas Back Institute. Additionally, he participated in numerous clinical trials studying novel motion sparing spinal devices, as well as co-authored a chapter in a major text discussing the future and implications of Total Disc Replacement. Dr. Roybal has a keen interest in minimally invasive spinal surgery and, accordingly, utilizes the most up-to-date and tissue-sparing procedures when surgery is indicated.